The Chevy Corvette car and speedboat hybrid might be the slickest amphibious vehicle on the planet, but when it comes to campers, nothing compares to the luxury the Elemment Palazzo offers. The mere mention of campers and RVs invokes images of cramped living quarters that can house only your essentials. But the Elemment Palazzo with its lavish fixture and ornate designs obliterates that notion completely. As it should, what with a coronary-inducing price tag of $3 million. 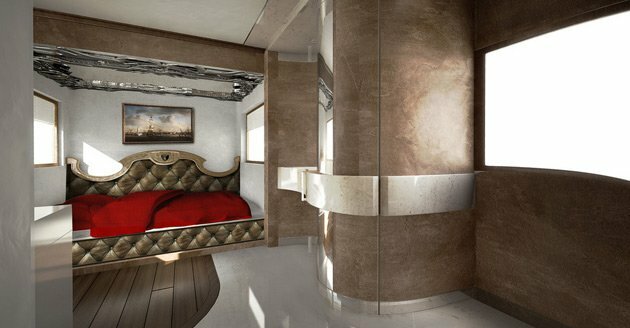 Austrian company Marchi Mobile designed Palazzo as part of its Elemment line of luxury vehicles that very visibly displays the trappings of wealth. You'll see in Palazzo what you never thought you'd see inside an RV. Master bedroom with an adjoining bathroom? Check. Leather interior? Check. Rainfall shower, fireplace, and 40" TVs? Check, check, check. Impressive enough as it is, it doesn't end there — the 40' long Palazzo also has a pop-out bar replete with a skylight and underfloor heating that you can activate by pushing a single button. 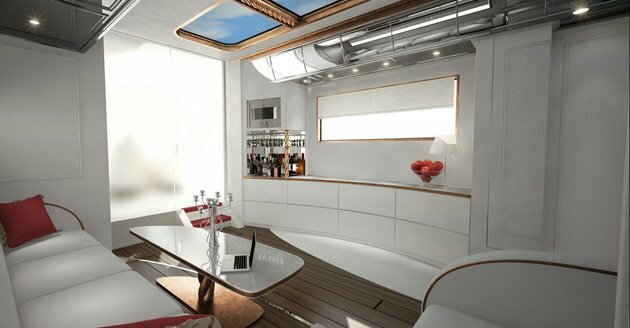 The bar adds 80% more room to the camper's original 430 square feet floor space. When it comes to the exterior side of things, you may or may not be glad to know (depending on how you feel about it) that the Palazzo is covered in glow-in-the-dark paint. 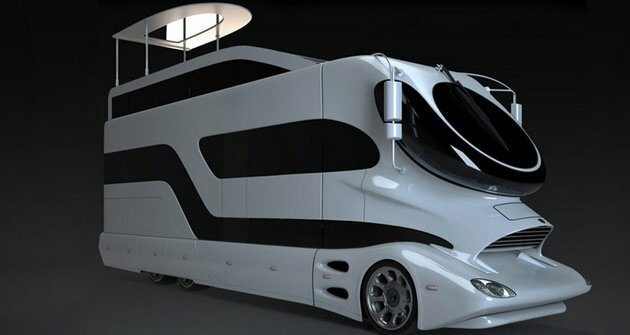 The 20-ton Palazzo can reach speeds of 93 mph, and uses 20% less fuel than vehicles of comparable size due to its aerodynamic design. The designers at Marchi Mobile say Palazzo is completely customizable, and if you have more money to spare, they'd welcome any outrageous modifications, going as far as to cover it in diamonds.